Codemasters is announced. In this article, in Popular Computing Weekly, 18 September 1986, there is a fallacious statement about AI Products Ltd. 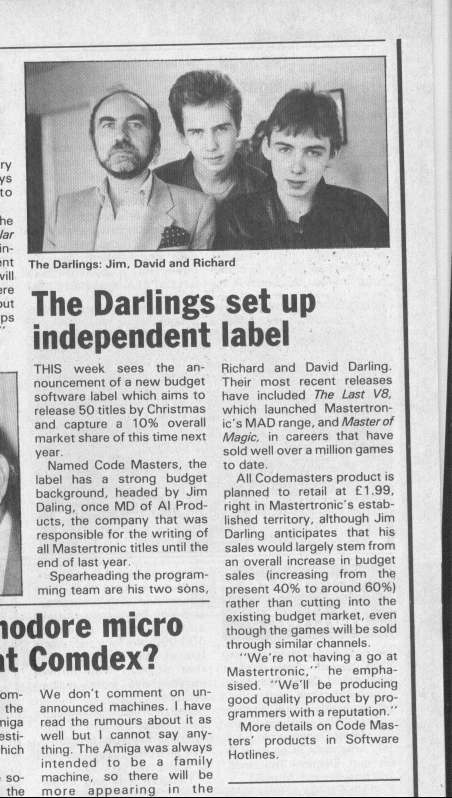 This company (for which I was the accountant) existed as a way of giving the Darlings a profit share from the early Mastertronic releases, without giving them shares in Mastertronic Limited. It did not source all the product.